Jazz and George Clinton Beer? We solved the craft beer issue in Central Illinois! Your welcome! Reminiscing about The Good Beer Show and JeffryT. The Cubicle of Death – CHUD’s secret Facebook group about Death Metal. CHUD lost the riddle of steel! Anyone have an Alexa in their house… Good for you! We have a million dollar idea. The Phone Box! Its hard to dump a body these days! Russians are Missourians at heart! We used the R word… Sorry. Living in the trees of California… Thats plumb crazy! Dadding with a Teenage daughter? 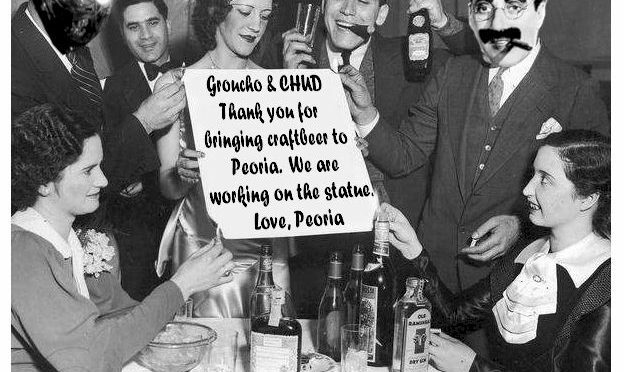 Groucho Laments! Podcast Dads, Jeff and Spoon… I can be your icebreaker. Its not my birthday. TMBG gag when we had CD players. Groucho beats down the telemarketers. Its a moral choice! CHUD almost starts a rant about racism… Socialism… God knows what! Bath Salts! A nine dollar bath???? Best Beer Ever??? CHUD declares that Bourbon County as a title contender! Feedback? Bah…. We dont care! Thanks for listening! 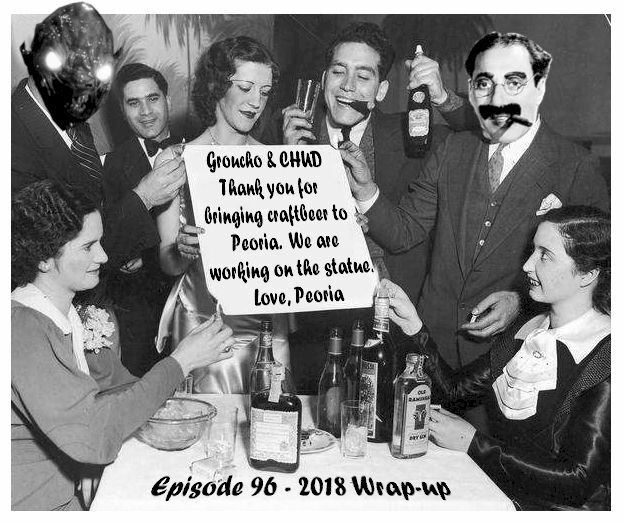 Downstate Illinois' premier beer podcast!